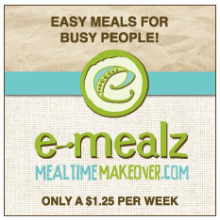 Giveaways Jan 6, 2012 in MealPlanning · Expired! 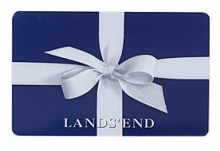 Today is the last of our â€œ12 Days of Christmasâ€ giveaways! For this giveaway we will give FIVE lucky readers $10 to spend at Starbucks! I love having a Starbucks card in my wallet at all times! Especially when there’s a Gingerbread Latte on the menu! Leave a comment to let me know what you’d order from Starbucks! Please use a valid email address, this is how I will contact the winners. Winners will have 24 hours to claim their prize. Giveaway will end at 8:00pm PT on Sunday, December 11th. Five winners will be chosen randomly using â€œAnd the Winner Is:â€ a WordPress plug in. Good Luck! Open to US residence only. We’ve reached our 9th giveaway in the â€œ12 Days of Christmasâ€ giveaways! For this giveaway we will give TWO lucky readers $57 worth of canvas prints from CanvasLifestyle.com. I love canvas prints, they make such great gifts too. Prices start at $9 and if you order by December 9th you’ll have them just in time for the holidays! Please use a valid email address, this is how I will contact the winner. Winners will have 24 hours to claim their prize. Giveaway will end at 8:00pm PT on Saturday November 26th. Two winners will be chosen randomly using â€œAnd the Winner Is:â€ a WordPress plug in. Good Luck! Open to US residence only. 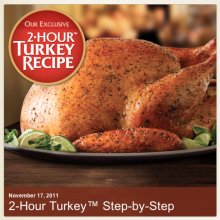 Giveaways Nov 24, 2011 in Christmas, family, holiday · Expired! I’m sure someone would LOVE to have this…besides my husband. Seriously, he’s already told me he’s entering to win. This remote-control helicopter flies up, down, backward, forward, clockwise, and counterclockwise. Use the infrared controller to master amazing stunts. A durable metal structure and working light create a realistic design. FUN, FUN, FUN! You don’t even have to do anything to get it. Just leave a comment below and tell me you want it! I’ll close the comments at 9:00pm PST tonight and post the winners immediately! Please use a valid email address, this is how I will contact the winner. Giveaway will end at 9:00pm PT on Wednesday November 23rd. ONE winners will be chosen randomly using â€œAnd the Winner Is:â€ a WordPress plug in. Good Luck! Open to US residence only. Giveaways Nov 23, 2011 · Expired! Sunday Night Super Quick Giveaway! Because I bombarded all of you with a gazillion posts today, I wanted to do one more! How about a super quick giveaway! 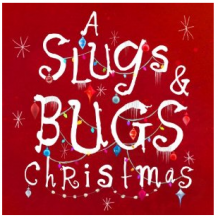 We are giving 5 readers “A Slugs & Bugs Christmas” cd! Please use a valid email address, this is how I will contact the winner. Giveaway will end at 9:00pm PT on Sunday November 20th. FIVE winners will be chosen randomly using â€œAnd the Winner Is:â€ a WordPress plug in. Good Luck! Open to US residence only. Giveaways Nov 20, 2011 in entertainment, family · Expired! Jennifer and Bonnie! Congratulations. Both winners have been notified. Stay tuned for anther awesome giveaway coming up later today! Giveaways Nov 19, 2011 · Expired!